While several major brands have maintained their ranking for some time, Euromonitor explains, the balance across the list is shifting. People’s attitudes to health and premiumisation are evolving and brands that cannot meet new realities have lost out. Changes in how people research and shop online are having a profound impact. 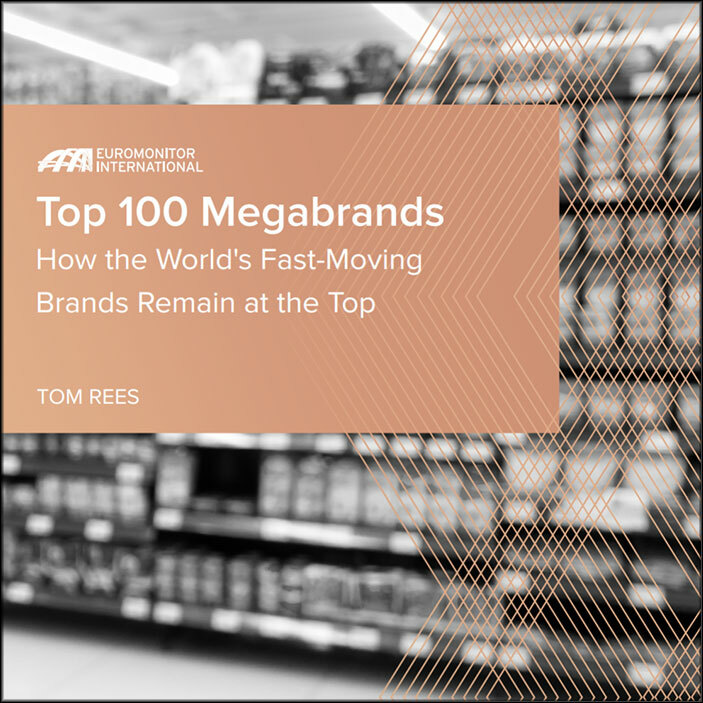 In 2017 megabrands made up 14% of all consumer goods sales worldwide. This was primarily driven by sales of packaged food, beauty and personal care, and soft drinks brands. There are 41 packaged food brands in the Top 100, more than any other category. Beauty and personal care brands take second position, with 25 brands in the Top 100. Soft drinks brands are third, with 18 in the ranking. Beyond these three categories, 16 brands make the Top 100, with five tissue and hygiene brands amongst them.